There are two tracks available to earn your master’s degree in architecture if you have a pre-professional degree in architecture or architectural studies. The first track to earn your master’s degree in architecture is for students with a 5-year NAAB-accredited Bachelor of Architecture degree. To earn your Master of Architecture degree, you must complete 33 hours of graduate-level coursework. The second track is for students with a Bachelor of Science degree in Architectural Studies or equivalent professional degree from an institution with an NAAB-accredited program. When you are accepted into the Master of Architecture program, you will have your undergraduate transcript reviewed to ensure you have completed the coursework that meets the NAAB student performance criteria. If you don’t meet all of the criteria, you may need to complete preparatory coursework alongside the 45 credit hours required for the Master of Architecture degree. 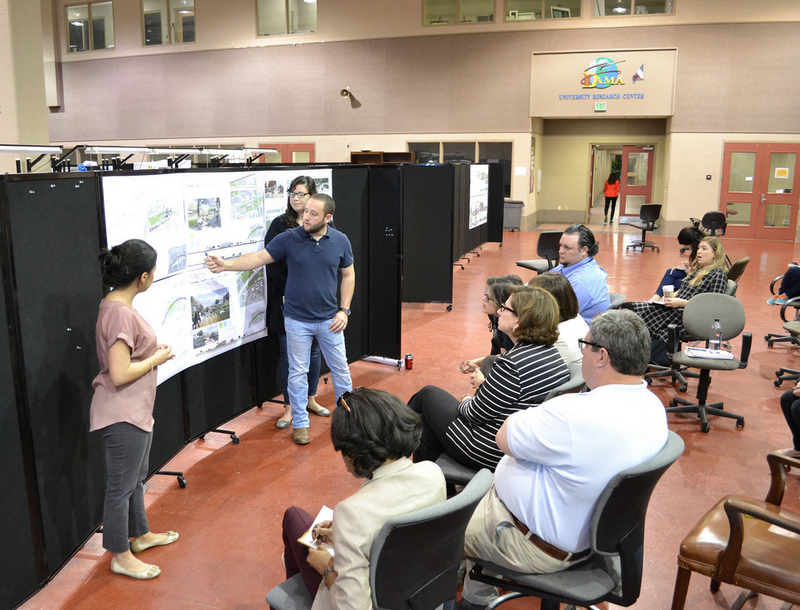 At UL Lafayette, our Master of Architecture curriculum explores advanced architectural practices and design, along with the options for researching and designing your own projects and buildings. When pursuing your Master of Architecture degree, you have an option between completing a Master's Project, which is an architectural design with a written component, or completing a traditional thesis.